Up until very recently, I’ve spent a good amount of time in the Warehouse District due to my job. Which meant many lunches and happy hours around the area, but I rarely a dinner. Due to the Dishcrawl event, that all changed last week. Kimberly and I were given the opportunity to sample dishes from three of the local restaurants in the District. First up was Mallorca…which I had never been to. I’m not going to lie…Kimberly and I had an agenda of items we had to catch up on so getting there early and having a glass of wine was of the upmost importance. From there, we headed to Cleveland Chop which was a regular lunch location of mine. We had some bubbles and two of their signature dinner items before rounding the evening out at D’Vine Wine Bar. Again – one of my favorite happy hour locations but I hadn’t really had much of their food. The desserts were delicious, as was the flight of bubbles we split. The fun part of the night is obviously not knowing where you are going or who you will meet throughout the evening. It also gives you the chance to hang out with friends in a setting you wouldn’t normally experience. 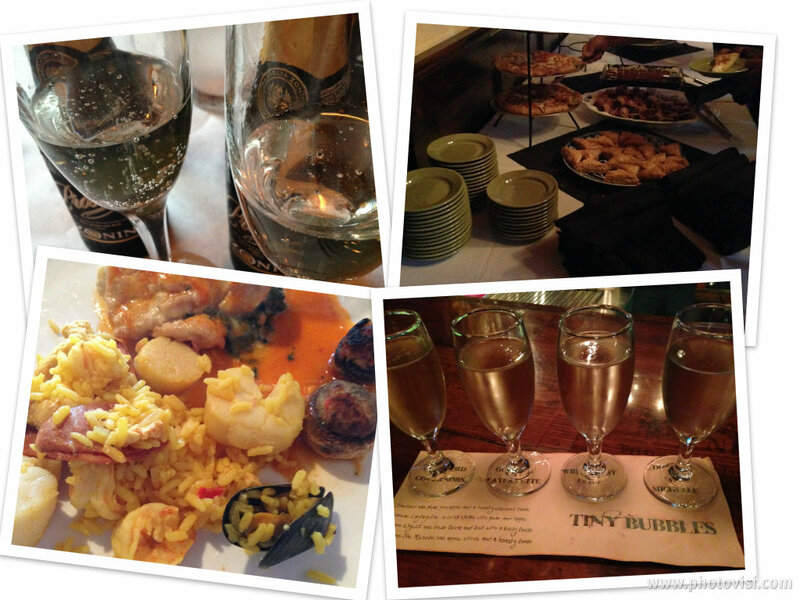 If you are someone looking for an adventure with food, make sure to follow Dishcrawl CLE and watch for the next event! Disclaimer: I was invited to the Dishcrawl event and in exchange for promotion and blogging, I was given two media passes. All opinions are my own. This entry was posted in Uncategorized and tagged CLE Events, Cleveland, Foodie, The CLE. Bookmark the permalink.